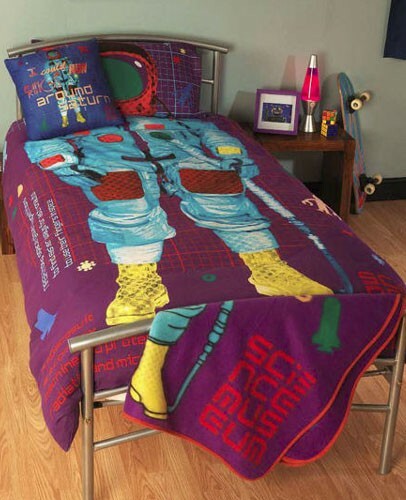 Science Museum Astronaut Design Reversible Single Duvet Set - spacekids - space toys, dressing up costumes, kids spacesuits, astronaut food, cool space stuff! A great Duvet Set from the Science Museum gift range, perfect for the junior astronaut's bedroom! Reversible bright astronaut design. Poly / Cotton Fabric. Set includes Single Duvet Cover (135 x 200cm) and Pillow Case (50 x 75cm). The blanket shown in the pictures is not included in the set.